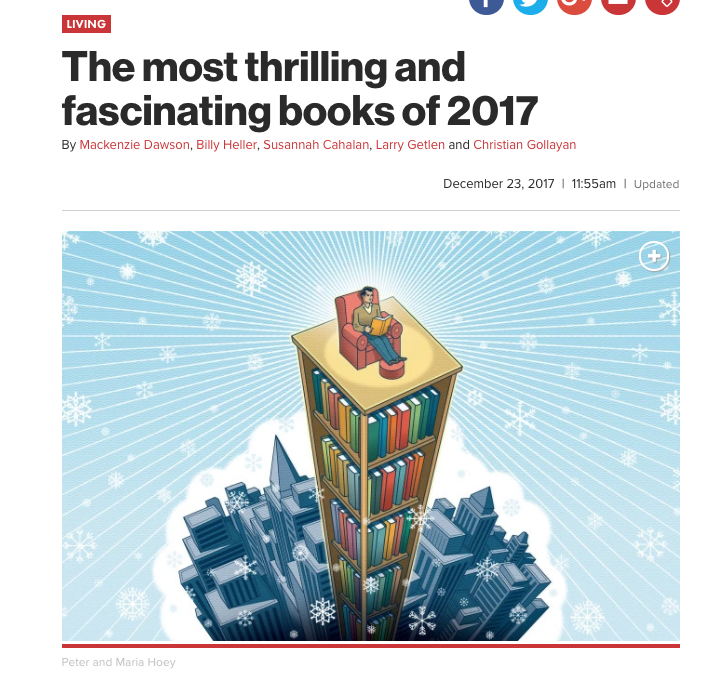 I’m honored to see The Cooperstown Casebook on the Sports Collectors Digest’s “The 50 best baseball books from 2017” list alongside so many great authors including Marty Appel, Ira Berkow, Paul Dickson, Bill James, Keith Law, Greg Prince and Richard Sandomir, not to mention biographies of Hank Greenberg, Chipper Jones, David Ortiz, Tim Raines and Ivan Rodriguez. And somehow, old nemesis Ned Colletti’s in there, too. Certain to stir controversy, this hardcover shows how analytics can be applied to Hall of Fame selection. Jaffe explains who should be in, who should be thrown out, and who should win future enshrinement. The New York Post‘s Larry Getlen not only gave The Cooperstown Casebook a favorable review back in July, he included it in the tabloid’s roundup of the year’s “most thrilling and fascinating books.” By the look if it, the Casebook isn’t just the only baseball book of the 40 they covered (23 nonfiction), it’s the only sports book! UPDATE: Thank you to those who have reached out. We now have a venue and a time: Foley’s (18 W. 33rd St in Manhattan) from 7-9 pm on Tuesday, December 12. Revisiting an idea I broached during the World Series, I’m thinking of trying to put together a beer & book event at a Brooklyn bar, or perhaps a Manhattan one, during the late November/December Hall of Fame ballot season. 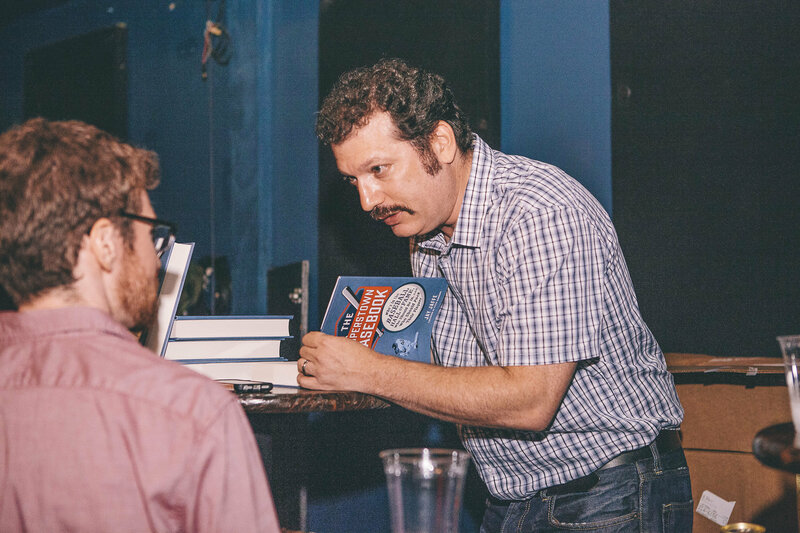 I’d do a Q&A over drinks, sell and sign books ($25, which is less than list price or what you’d pay for a signed book via Greenlight Bookstore), and leave enough time for causal hanging out after. Something like 7-9 PM on a Tuesday, Wednesday or Thursday, with the exact date TBD. I have boxes of books already on hand. The event would be open to the public — many of you have already bought The Cooperstown Casebook, for which I thank you profusely — but I would need some kind of critical mass of direct pre-sales to pull this event off (via PayPal, most likely), as I’m not going to try to reserve space for an event that won’t generate turnout and I’m not schlepping books I can’t sell. If you have already bought (again, thank you! ), perhaps you’ve got a friend or relative who needs a holiday or birthday gift? Just a thought, but if you do go that route, you’re free to bring your own copy for me to sign and personalize. So, if this interests you, I need a virtual show of hands. Please fill out a contact form indicating your interest in pre-purchasing a book for such an event — using a valid email address which I swear on a stack of Edgar Martinez votes won’t be used for any other purpose — and whether you have a position on Manhattan vs. Brooklyn as a venue. I have bar options in mind for both, relatively convenient via subways. Failing this, I may explore one other event idea during election season, but that will take more effort to put together. 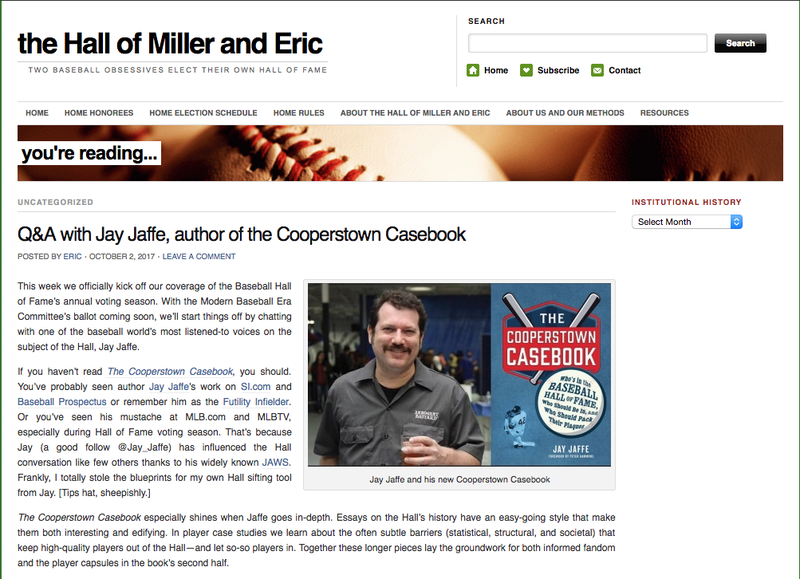 Eric: Something cool about The Cooperstown Casebook was how many different perspectives you personally brought to the writing: Fan, critic, BBWAA member, researcher, analyst. Over the years, how have these experiences changed how you think about the Hall? Jay: I’m not sure I’ve thought about it in quite those terms before, but I’d say that the different perspectives reflect my own growth and the expansion of my horizons. When I started writing about the Hall voting at Futility Infielder in the winter of 2001-2002, I was a moonlighting graphic designer, just a fan who wanted to share some of my knowledge and perspective while connecting with others. Pretty quickly, once I brought the project to Baseball Prospectus in late 2003, I developed a more critical edge, and the backbone of this book is a few of the major beefs that I had with the Hall as it stood, namely the omissions of Bert Blyleven and Ron Santo and the mess that the Veterans Committee had made that had permanently compromised the Hall. Each of those topics has a chapter devoted to it in the first half of the book. 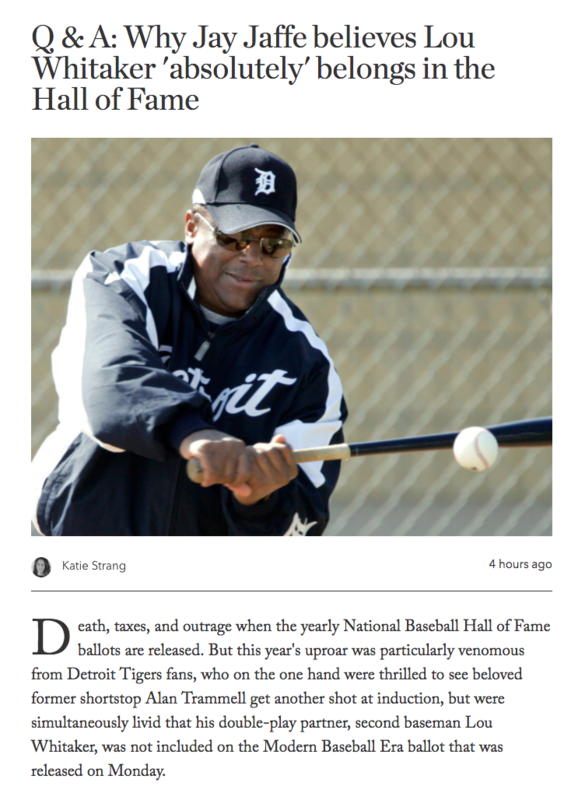 Eventually, I was able to devote myself to writing about baseball full time. Not only did I get to sharpen my analytical and researching skills, I was given a platform to produce what might be the largest annual volume of Hall-related writing at SI.com — my editor, Ted Keith, let me run wild with the topic in December, basically. I was admitted into the BBWAA (for 2011) and was eventually able to participate in a committee that examined the case for changing the voting process; I was involved in drafting the final proposal that was submitted to the Hall of Fame board of directors. The proposal was tabled, but BBWAA voters do read my work and sometimes cite it when explaining how they filled out their ballots. I’ve gone from being a total outsider to something of an insider, even if I don’t yet get to vote. 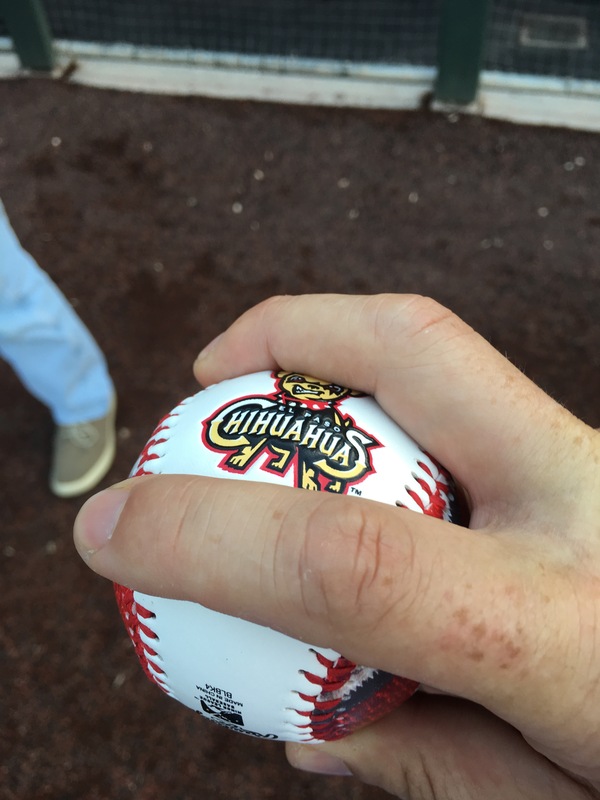 There is no shortage of highlights or documentary evidence from my unforgettable August 25 adventure at the El Paso Chihuahuas game. 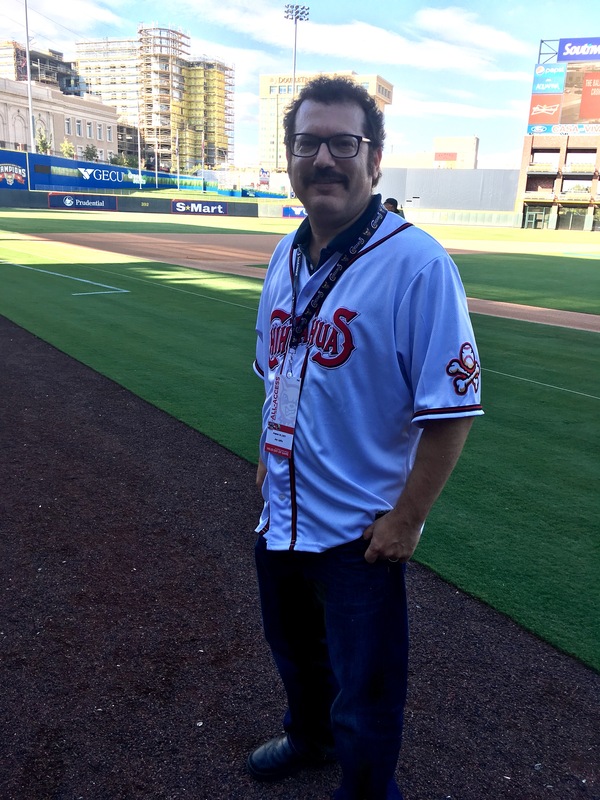 My deepest thanks to the Chihuahuas, who rolled out the red carpet for me: VP/GM Brad Taylor and his staff, including Angela Olivas, Andy Imfeld, Alex O’Connor and play-by-play man Tim Hagerty, who let me hang out in the booth; sponsor Loren Hodges and Longhorn Distributing, who underwrote this adventure; Scott Lewis of Townsquare Media, who documented it; and Steve Kaplowitz of ESPN El Paso, who conceived it and hosted me. You’re Hall of Famers in my book! Jay’s second appearance in the Sun City is sponsored by Longhorn Distributing. The book is Jay’s first and takes a sabermetric look at the Baseball Hall of Fame. Over the years, Jaffe has developed his own metric for analyzing a player’s Hall of Fame resume. 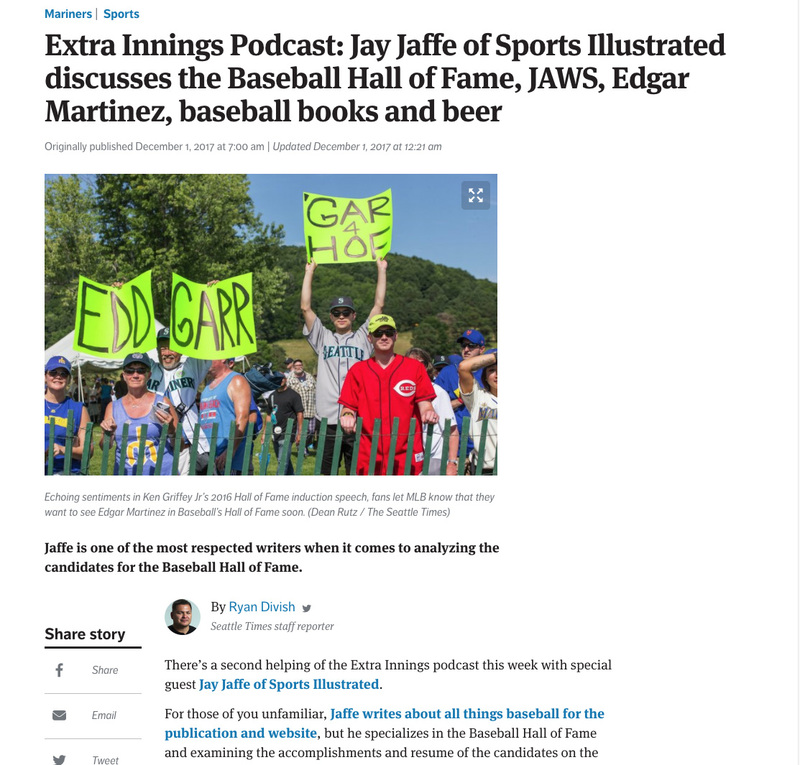 His JAWS (Jaffe WAR Score system) has been adopted by Baseball Reference and other websites as well as individuals who take a closer look at a baseball player’s Hall of Fame resume. 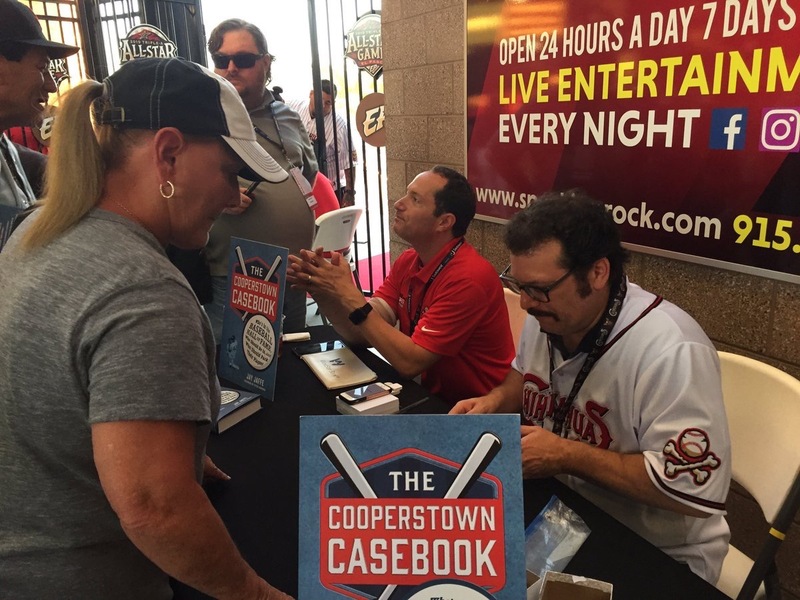 The Cooperstown Casebook is a must for any baseball fan and Jay will also be throwing out the first pitch tomorrow night as well as spend an inning in the radio booth with Tim Hagerty. First pitch! Color commentary in the broadcast booth! This should be a lot of fun. Now, who wants to hear some Marty Robbins?